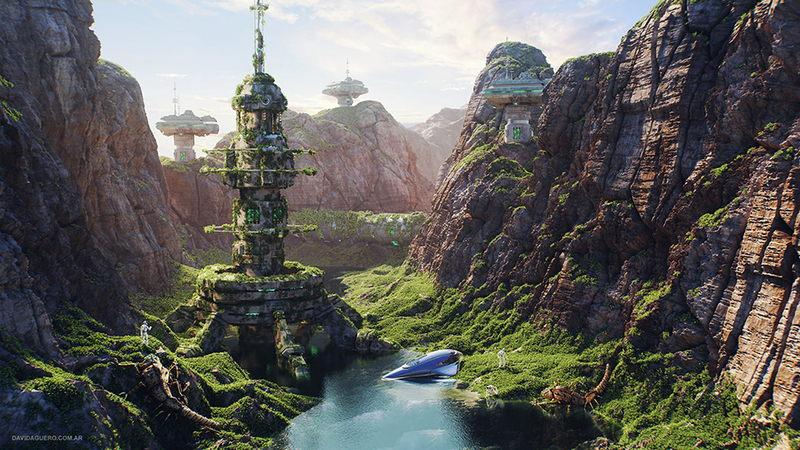 While Argentine 3D Artist David Alexander Ary Agüero has always been interested in art and sculpting, when it comes to 3D modeling and animation, his interest rises to the level of a passion. 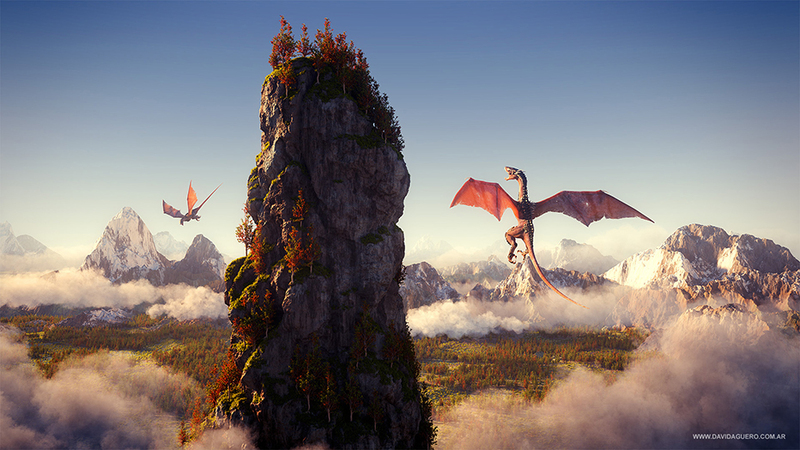 With great attention to detail in creating stunning imaginary landscapes and characters, this extremely talented and well-known 3D artist relies on LightWave to deliver incredible results. If you do not know him yet, after one look at his portfolio we’re sure you’ll see why we have chosen him as our first LightWave Power Artist for 2016! Hi David and thank you for joining LightWave 3D for this interview! We know you are a big fan of LightWave and we really enjoyed your artwork! 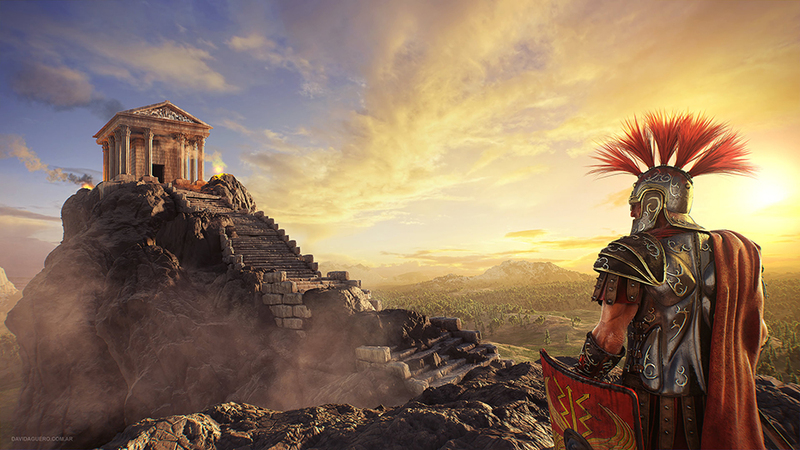 Can you tell us a little more about you, your background and the origins of being a 3D Artist? 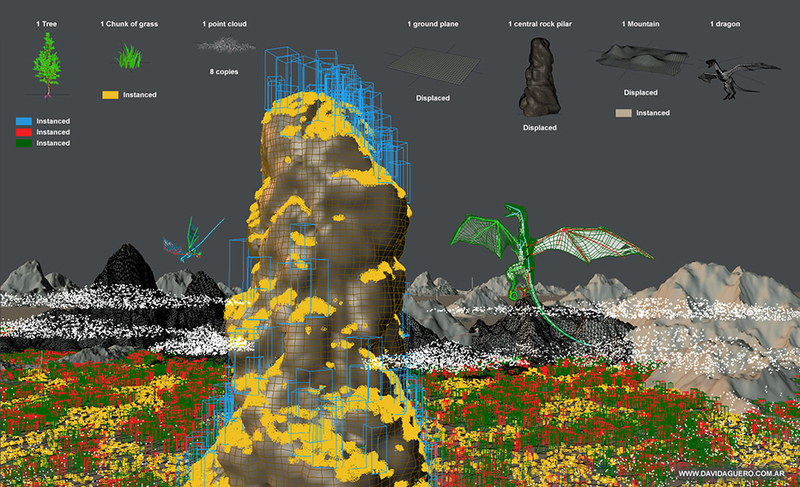 What type of 3D productions, projects or visual effects do you specialize in? What kind of clients do you work with? I'm actually working as a freelancer and I provide a wide range of digital services. 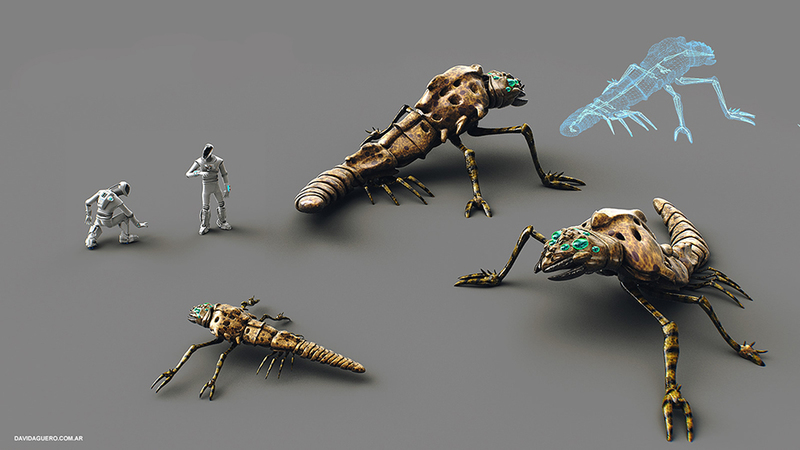 These go from Concept Design to 3D Animation Production and Animatic Previsualization. As a 3D generalist, I also do 3D Modeling, UV Mapping, Texturing, Shading and Lighting, Rigging and Animation, so pretty much everything! From TV Commercial or CGI movies to still graphics for advertising, I express my creativity using the power of LightWave 3D. LightWave 3D seems to play a very important part in your job: how have you come to use this software and how long have you been using LightWave 3D? What is your experience with the software? I've been working with LightWave 3D since a pretty long time and I used a lot of versions! I discovered LightWave 3D at version 5.5 but I started using it at version 7. Few years later the studio where I was working at that time was using LightWave 9.6. Then I had the chance to win the LightWave 3D Group's first LightWave Holiday Challenge in 2013 and I had the honor to play with LightWave 11.6, ChronoSculpt and NevronMotion! Since then, I love using LightWave for all my personal and professional projects! Why would you choose this software over any other? 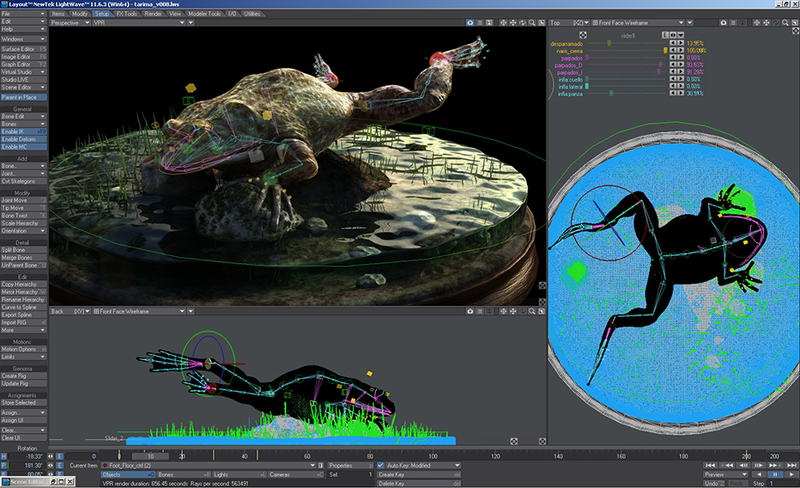 What makes the difference between LightWave 3D and other existing software? What do you enjoy the most in LightWave 3D? 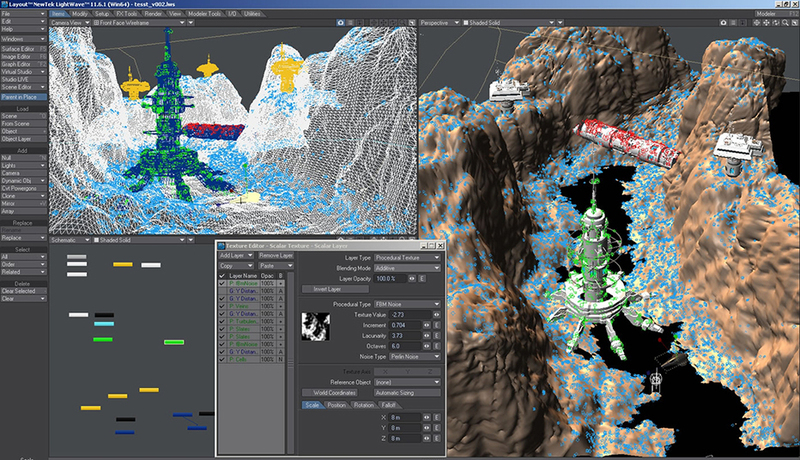 LightWave 3D is a great all-in-one software! You can do pretty much everything with it! If I have to be more specific, I really appreciate LightWave tools and its native render. It is a very robust application. 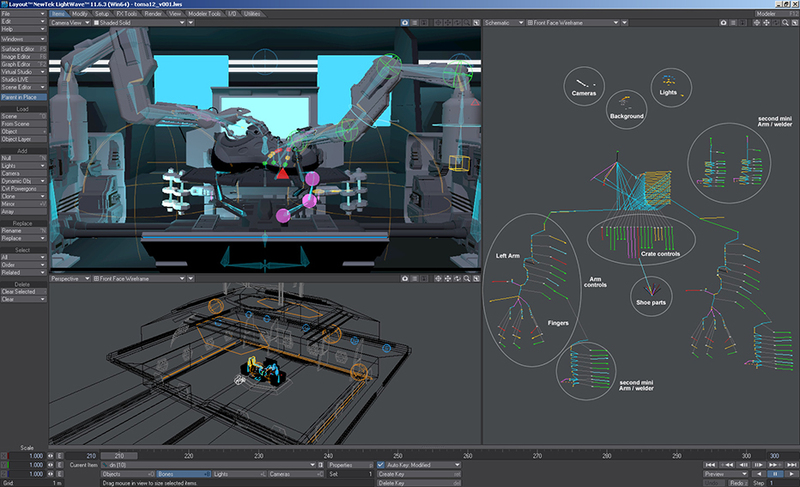 Compared to other tools, LightWave is helping me to get my work done on time and on budget! That is so important now since a lot of changes happened in the industry over the last couple of years. Which are your best plugins to use with LightWave 3D? Is there any plugin that you cannot live without? Among LightWave 3D, I use all Denis Pontonnier's plugins, which I found very useful. I also use DB&W Tools and I can't wait to give 3rd Powers plugins and LWCad a try! If you were asked tomorrow to choose 3 functions/improvements of which you would dream of for the next version of LightWave 3D, what would you opt for? Are there any particular techniques, features or tools in LightWave 3D that you use often? LightWave helps me to overcome some of the creatives challenges that I have to face in my work. The most important challenge is Time: LightWave is my secret weapon for getting my job done quickly with an amazing render quality! It offers me operational benefits, such as savings of time or money. VPR is one of the key factors on my work since we always have to create 3D graphics with a high quality standard. I use also most of the time Instances and I like the power and flexibility of Genoma. In Modeler, the new tools for Edge editing are essentials, Magnet Tool, UV Unwrap and Multishift are also very useful. In Layout, the layer system for the material editor is great, the Node system is amazing, the Backdrop tools as well as the Camera bake are pretty useful. Along with LightWave 3D, which other software are you using in your pipeline? Sometimes, when I have to work with some other studios, I'm using Maya or Modo and LightWave works great with both. Could you tell us more about your latest project you've made with LightWave 3D? Could you give us an insight on the process, the goals of the project and the difficult parts? Lately, I've been working on a TV commercial spot for GAW (Grupo Argentina Web) for his client OMBU (a security shoes for workers). My creative goal on this project was to create an eye catching TV Spot mixing the concept of technology with the quality of the product. I've been in charge of every aspect of this project: 3D Modeling, Texturing, Lighting and Shading to Animation, Sound FX and Music. I've made everything in only 2 months! Thanks to LightWave, I was able to deliver great looking graphics despite a tight deadline and budget. 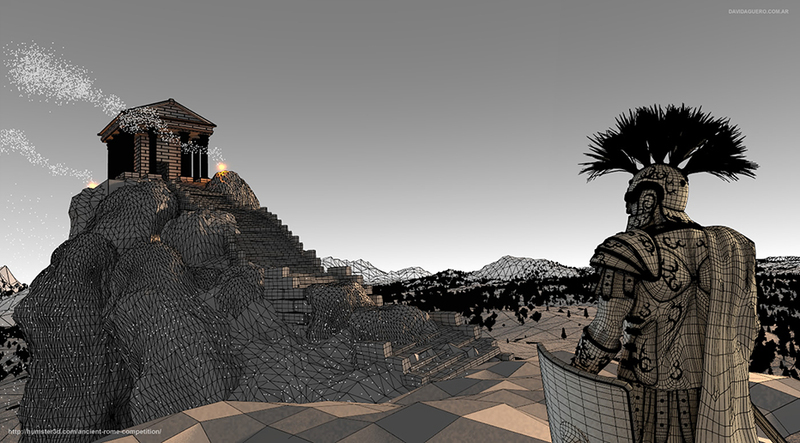 What’s your favorite stage (modeling, sketching, rendering, effects)? My favorite part is having most of the assets ready and start surfacing and lighting in VPR!!! VPR is so interactive! What inspires you? And how do you keep your creativity going? Everything related to Sci-Fi or Fantasy, from Frank Frazetta to Syd Mead which was best known for his designs for science-fiction films such as Blade Runner, Aliens and Tron. I also love the conceptual design of incredible artists such as Ralph McQuarrie, H.R Giger and Stan Winston. So inspiring. Do you have any new project that you’re presently working on? Could you tell us a little more about it? I'm presently working on creating some concept design for holographic interfaces using LightWave and Photoshop. What do you hope to accomplish in the future? I would love to make a Sci-Fi short movie and I think this will come very soon! A day with you, how does it look like? A last word or tips to share with the LightWave community? Most of the time, I use Instances on heavily Subdivided Meshes. One drawback I find is the time that it takes to generate the instances on render time. The trick I discover to low the population time is to duplicate the subdivided mesh and use a lower subdivision (like a proxy) and make that object the generator (hidden on render). 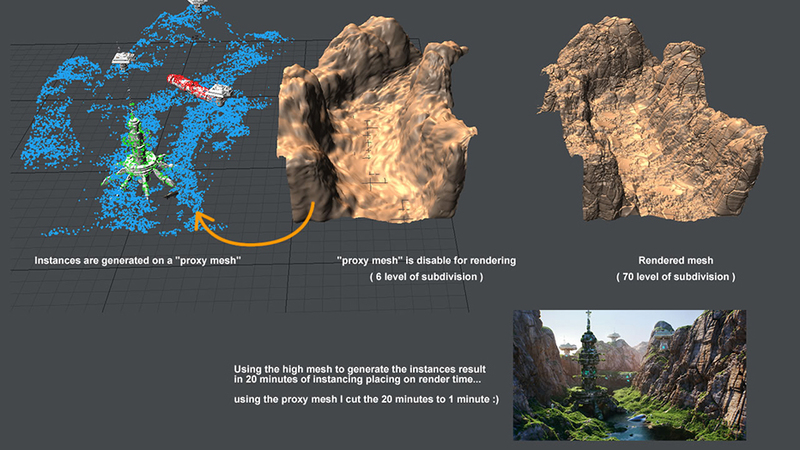 You can use then the high subd mesh for render (see the picture below).